At Gustafson Body Shop we continue a long tradition of providing the highest quality repairs with knowledgeable, honest and friendly customer service. Our staff averages MORE THAN 18 years of experience with two techs over 30 years at Gustafson’s, which contributes to our reputation as one of the highest quality repair facilities in the area. Gustafson Body Shop has a long family and business history in the Mundelein area. Percy Gustafson bought the current property in 1958 to support his Pontiac dealership in Libertyville. He transformed 23 W. Maple from an ornamental iron works into a successful body shop, which is now one of the oldest in the area. Percy sold the business to Michael Hoskins. Michael’s son John is the current president and runs the business today. John’s great grandfather, Jess Shields, was the police chief in Mundelein and coincidentally raised his family in a large Victorian home where Gustafson Body Shop sits today. John’s paternal great grandfather, Glenn Gladstone Hoskins, took the First National Bank of Libertyville out of receivership after the Great Depression and ran it until John’s grandfather Bill took over. John’s father Michael decided to stray from the family’s banking past when he bought Gustafson Body Shop in 1975. 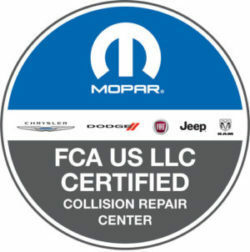 Today, we have state-of-the-art repair and painting equipment to handle any type of vehicle and any type of collision. We understand the newest repair methods and that every vehicle has unique repair needs.